Camping is a lot of fun, when you are comfortable. Guaranteed the best way to put you off camping is to have a shoddy nights sleep, or wake up feeling like you need to head to the chiropractor! You should be comfortable when you go camping! I’ve always enjoyed camping, but up until a few years ago never managed to get a great nights sleep. I remember 2 weeks where we camped at a Caravan Park in Coral Bay, and every single morning I got up I had to stretch and crack my back. I literally ended up visiting a chiropractor when I got back to Perth. What’s to blame? A poor quality camping mattress! You’ve heard the saying; a poor man buys twice, and it rings true almost every single time. I started off with a single inflatable mattress that included an inflatable pillow. It was better than sleeping on the ground, but was still far from ideal. After 8 hours asleep, you were guaranteed to wake up with a sore back! Given the mattress was a hand me down from the folks I wasn’t going to complain. Instead, I went to Anaconda, and bought myself a swag with a 70mm Dune self inflating mattress inside. It was a step up, but I still woke with a sore hip. 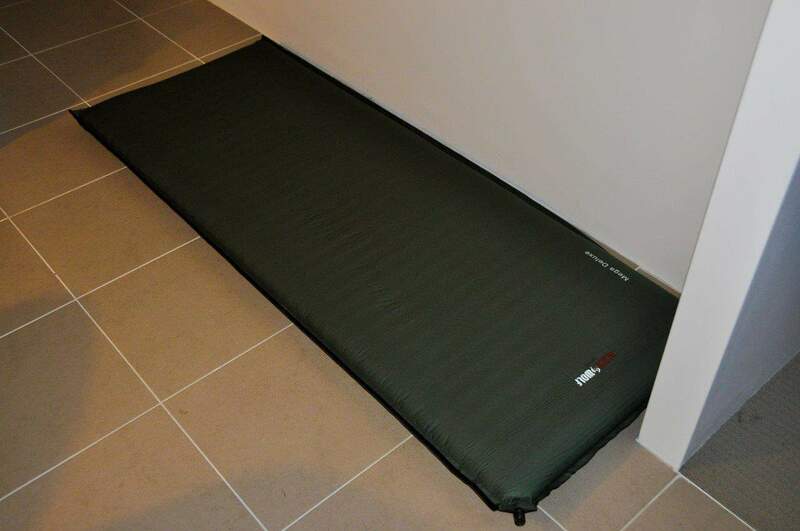 I used this for a while, until I realised the mattress was making my camping experience less enjoyable than it should have been; if you miss your bed at home because you are uncomfortable, you haven’t got the right mattress. One afternoon, whilst walking through BCF, I saw a mattress in the distance that looked brilliant. A quick look revealed it was made by Black Wolf, which made it even more promising; they sell top quality gear. As you do, I had a quick lie down, and was sold straight away! The only problem? The price – at $350 I was considering putting up with the bad nights sleep! Fortunately, Snowys sell the same product (Blackwolf Mega Deluxe Mattress)for $250, and I finally decided to grab one. A few days later and it arrived at my door (Snowys are fantastic to deal with), and we took it camping not long after. If you want to get one from Snowy’s, here’s the link – Blackwolf Mega Deluxe at Snowys. Please note this is the newer, better model too! At $250 you’d want it to be a good mattress, and let me tell you, its money well spent. I’ve used it heaps since getting it, and even purchased another one for my wife. 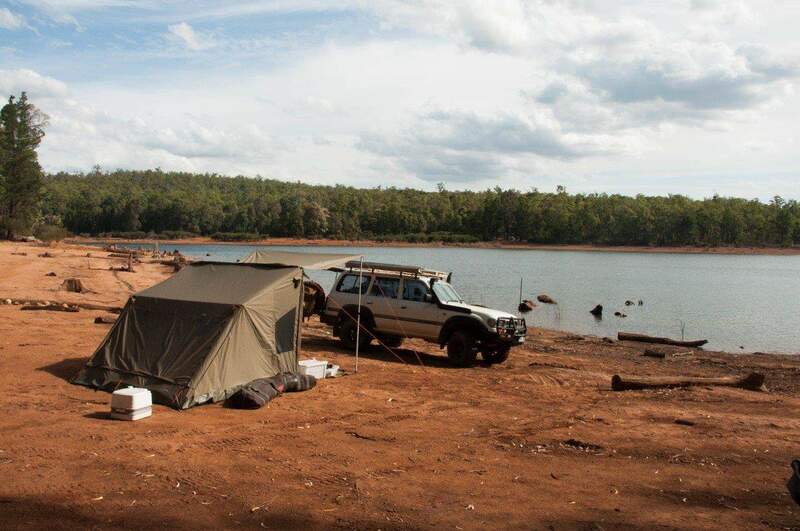 In 2015, we spent 33 nights camping in the Kimberley using these mattresses, and not once did we wake up with a sore back. 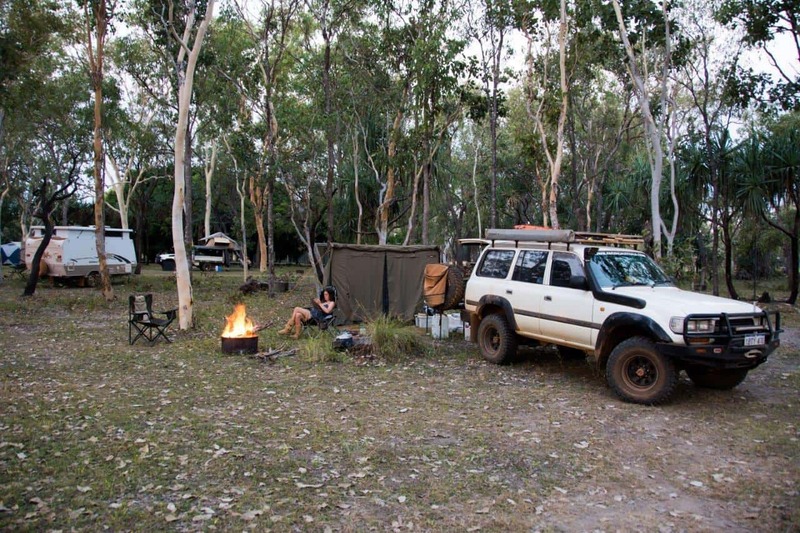 Expensive, yep, but if you are camping regularly they are the best money you can spend. They come with a heap of great features, and a lifetime warranty. I’ve done a fair bit of reading since buying these mattresses, and self inflating mattresses are by far and away the best option for comfort. 100mm is the thickness you want, unless you are really light weight; if your hip takes much weight on the ground through the mattress, you won’t have a good nights sleep. There are a number of good brands around, but stick with those that are reputable and have great reviews. 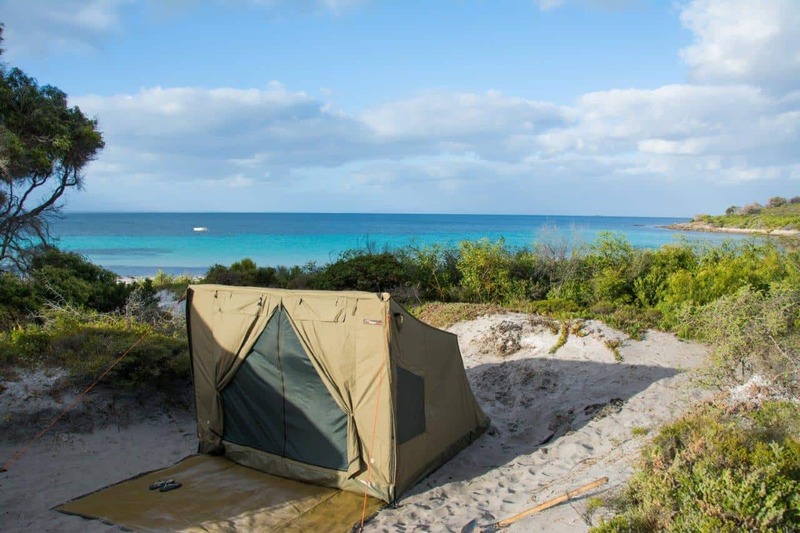 The number of complaint from people who don’t like camping is that its not comfortable. Truth be told though, if you have the right gear, and you use it well, camping should be comfortable. Sure, you might not have the luxuries of a king bed and unlimited hot water on demand, but it doesn’t mean you can’t be comfortable, and at least get a great nights sleep. Sleep as well as you do at home! If you haven’t gotten yourself a quality mattress for camping, do it; you won’t regret it! What do you sleep on? How do you find it?